As a student, I enjoyed architecture and precision drawing. After college, I worked for an architect in San Diego on a plan for a small housing development in Utah, with passive solar design and some modular, off-site fabrication features. My first use of CAD was for boat hulls, designing large, modern Pacific proas; upgraded in the nineties to MultiSurf by AeroHydro: "a rich and versatile system for parametric design of 3D geometric objects, particularly complex objects involving freeform curves and surfaces.". Rhino curves, surfaces and solids are advanced versions of what MultiSurf offered, with far better UI for a vast, complex set of create/edit tools and excellent photo realistic rendering of materials, textures and lighting. Began using Rhino in February, 2014: arc with holes, leaf table, patio bar (and night), proa sketches. I'm especially enjoying the "Grasshopper" plugin, a graphical programming tool that generates and manipulates 3D parametric models, controlled by sliders. In 2009, I started using Google SketchUp Pro and its programmable "Dynamic Components" feature to create a solar array model. When scaled, the outer frame dimension is rounded to accommodate the appropriate number of columns and rows, based on the single panel size, and then copies of that panel are drawn instead of a stretched version. 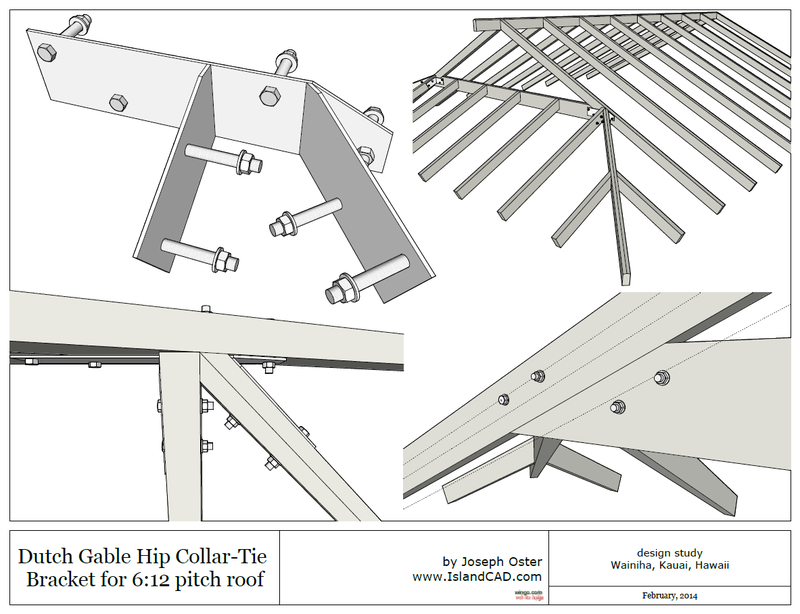 The next "smart component" was a truss beam that adjusts its number of diagonal braces appropriately as its length is scaled. Different sizes of shipping containers stack like blocks until you find out how they are built, where they are strong and not, the engineering needed to stack them in ways different than how they were designed - square, on their corner posts. 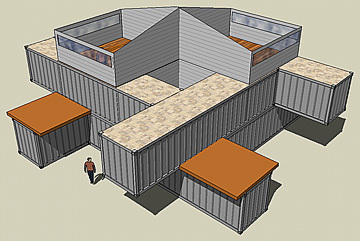 Early 2010 - Pre-fab containers began to lose their appeal when I realized that door and window openings in containers must be done relatively close to a build site, since they no longer meet specs for container shipping rates. 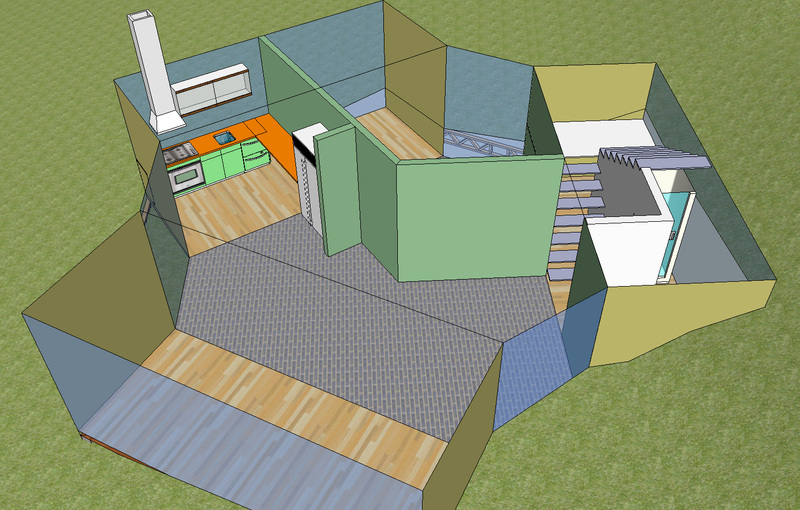 So focus shifted toward components that can be useful on many different projects, "modular housing designed for shipping containers", starting with roof kit systems in two sizes, 16' and 20' trusses, with generous four foot overhangs at each end, that fit a wide variety of floor plans. 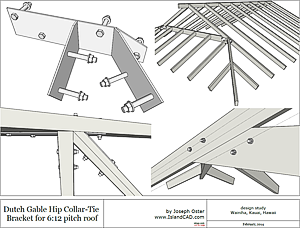 The trusses rest on 4x10 beams attached to the containers, or optional posts to extend the roof over decking. Deck extended 8', new roof cantilevers over old, which is cut back to raise gutter above header beams.